If you are served a tall glass of a white, creamy looking cool beverage, good chance you’re looking at a glass of milk. But not every glass of milk you drink will taste the same. Different production methods make for huge variations in taste, nutritional value and health benefits. Even how many calories in milk can differ. The milk you’re drinking may have been produced months ago, instead of days ago! Some brands of milk focus on long shelf life. That milk is double pasteurized at high temperatures to make sure all possible bacteria are killed. Unfortunately, in doing so, the taste, and much of the goodness of the milk, are lost. Freshmill pasteurizes the milk at lower temperatures, and with our proprietary filtration system, we take care of the bad bacteria, while retaining all the ingredients that make fresh milk a healthy choice. Some people are concerned about the amount of calories in milk. Because it’s the fat in milk that makes is taste creamy and delicious, right? To address this concern, some vendors will sell you skimmed milk. By taking out the fat, they take out the calories – and the creamy tastiness. 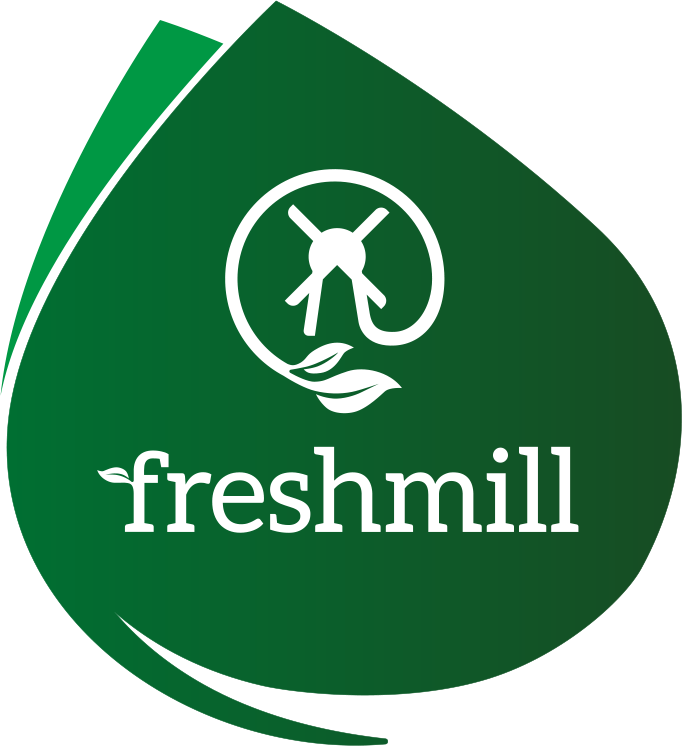 At Freshmill, we think that whole, fresh milk fits in anybody’s healthy lifestyle. Medical studies emphasize that fat needs to be part of a balanced diet. Whole milk provides you with a natural source of energy. So it’s a great idea to incorporate it in your family’s diet!